As I type this, the holidays are right around the corner and approaching fast. As much as I love the holidays, I always struggle when it comes to picking gifts for my loved ones. I’m also the worst procrastinator when it comes to buying gifts (oops!). I’ll start brainstorming a few months in advance but I don’t actually get around to purchasing anything until a week or two before. Then when I do actually find a gift, I get so excited about it that I can almost spill the beans! I’m terrible at keeping secrets! If you’re anything like me, you might be having trouble thinking of the perfect gifts for your loved ones. 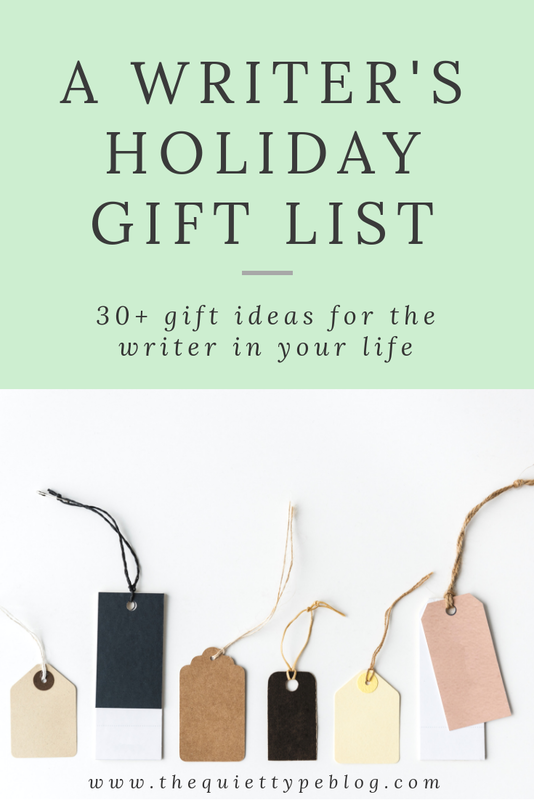 To make it a little easier on you, I’ve compiled a list of 30+ gift ideas for the writer in your life. Though I made this gift guide for the upcoming holiday season, these gifts are perfect for any occasion! Before you get started, I just wanted to let you know some (but not all) of these links are affiliate links. That means, when you make a purchase using one of my links, I may receive a small commission at no extra cost to you. The commissions I receive from those purchases helps support my blog, which I really appreciate! 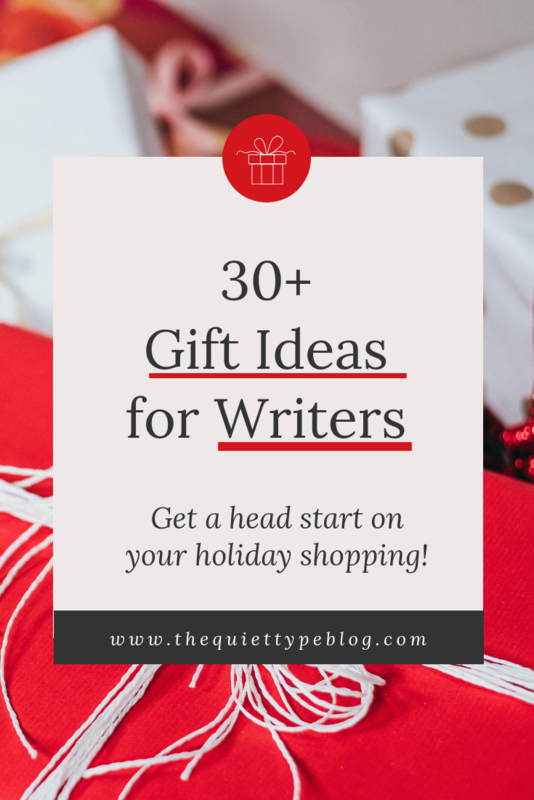 So, without further ado, here are 30+ ideas to find the perfect gift for a writer! Audible makes a great gift for a writer who likes to multitask! With an audible membership, they can listen to their favorite audiobooks while still being able to accomplish their daily tasks. 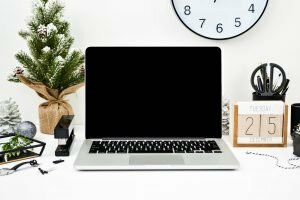 Online courses like Megan Johnson’s eBook Ninja or Jorden Roper’s Killer Cold Emailing make a great gift for a writer because of the variety and the opportunity to grow as a writer. Not sure what kind of course your writer would like? Purchase a monthly membership on SkillShare for just $8.95 and they’ll have instant access to over 24,000 classes. The Freedom Journal is the perfect gift for writer with ambitious goals. 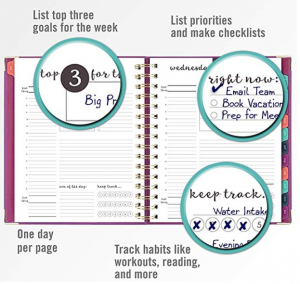 It helps you set SMART goals and achieve them within 100 days by keeping users accountable through the use of daily to-do lists, 10 day sprints, and quarterly reviews. This journal is beautifully designed with it’s vegan leather hard cover and gold foiled pages. Plus, it’s a gift that keeps on giving. When you purchase a Freedom Journal, you get a discount on all future orders and access to free PDF downloads of the pages. Writers generally have a love of books, so a Book of the Month membership will win major points! Each month, BOTM curates a collection of 5 hardcover books in different genres for their subscribers. A monthly membership costs $14.99 (almost half as much as a normally priced hardcover book) and members can add up to two more books to their box each month for just $9.99. I am not ashamed to say I’m a coffee mug hoarder. (Don’t believe me? My Instagram has plenty of mug pics!) If you can’t find me in Target, check the coffee mug isle. There’s a good chance you’ll find me. Not everyone is as obsessed with coffee mugs as I am but they still make great a great gift for writers. Check out these cute mugs from Blogging Mode! A tablet would make a great gift for a writer always on the go. They’re much easier to travel with than lugging around a clunky laptop, especially when the chances are good there are a few notebooks and novels in that bag! While working from home is great, there are some days writers crave interaction with other people. A gift card to their favorite coffee place makes the perfect gift for a writer and gives them an excuse to put on real clothes for once. Writers love to write…so why not give the gift of custom stationary? You can pick already designed options or design your own on Zazzle. Like You Are a Badass, Big Magic by Elizabeth Gilbert is an awesome read. It’s especially geared towards creative types (hello writers!) and is a go to when you find yourself in a creative rut. You can read more about why I love Big Magic here or buy it here. Some writers prefer to work in silence. Other’s like a little background noise. A membership to a music provider like Spotify (my personal fav) make a great gift for a writer. Music memberships are also great for those that love to listen to podcasts while doing boring tasks or daily chores. Writers are suckers for cute notebooks so it makes sense they make a great gift for a writer. Not everyone understands the obsession of buying notebooks you don’t need (yet) but writers do! Gift the writer in your life a cozy throw blanket to keep in their office. It makes it easy to keep warm when they’re on a roll and don’t want to stop to grab a sweatshirt. Sometimes noisy distractions are inevitable. Noise canceling headphones are an easy solution to ensuring a writer stays on track and distraction free. Headphones from Bose and Sony are always good options. I know I’m not the only one that remembers Gelly Roll pens! They were a staple growing up and they definitely instilled a love for pens and stationary into me. Seriously, I love a good pen! The same can be said for writers everywhere so it makes sense they’re a fun addition to whatever gift you get for a writer. If you want to go for the classic, check out Amazon! Writers may love their coffee, but wine is usually a close second! Sign them up for a wine subscription like the one from Winc and they’ll get a special selection of wine delivered to their door each month. Let’s be honest, when a writer gets up in the morning she’s probably heading straight to her work zone to with bright new ideas. Before she knows it, it’s 4 o’clock in the afternoon and she’s still hasn’t showered. Help her feel a little more put together with some cute PJ’s! When you’re sitting at a chair all day long, comfort is key. Yoga pants are just as comfortable as pajamas but are way less embarrassing to wear to the grocery store or coffee shop! A go to favorite? Yoga pants, an over sized sweater, and some fuzzy socks. When it comes time to run out of the house, just pull on a pair of boots! Bluetooth speakers are perfect for playing music, audiobooks, or podcasts. For maximum effect, why not bundle a bluetooth speaker with a membership like Spotify or Audible? Have you ever tried to type when you’re hands are cold? I don’t recommend it! I do recommend fingerless gloves as a gift for a writer, though! One of the absolute best things about working from home is getting to wear comfy clothes all day. There’s nothing better than feeling cozy and a bathrobe does just that! If you asked me what my favorite book was in 2018, I would hands down tell you it was You Are a Badass by Jen Sincero. This book is super uplifting and is perfect for anyone looking for a mindset shift, especially when it comes to telling that annoying little voice in the back of your mind to just shut up, already. Read more about why I love it here or get the book here. This goes back to being cozy. It’s hard to write when you’re cold so why not give the gift of slippers? A Kindle would make the perfect gift for a writer who loves to read (especially with a Kindle Unlimited membership). Having access to thousands of books at your finger tips is magical! Plus, having a Kindle gives you access to free library eBooks too! A Kindle Unlimited membership is a wonderful gift for a writer whether it’s in conjunction with a Kindle or a gift all it’s own! Members of Kindle Unlimited get access to over 1 million ebooks and audiobooks! Bookends are a unique gift for a writer. Whether they’re being used for the books they’ve written or their favorite mystery novels, bookends can be a fun display item! Having a place dedicated to daily tasks, appointments, and to-do lists is great so a planner makes an excellent gift for a writer. My favorite is the daily At-A-Glance planner. Finding the perfect planner was a huge struggle but I’ve been using this one since January 1st, 2018 and it’s kept me so organized. I love it because each day has it’s own page which includes a spot for appointments, top 3 tasks for the day, and a to-do list section. It also has spots dedicated for extra notes (this is where I keep a gratitude list), a “win of the day,” and a tracker. It’s seriously the best planner, ever! If the writer in your life makes a living (or even dabbles in) freelancing, The Freelancer’s Bible is a must. 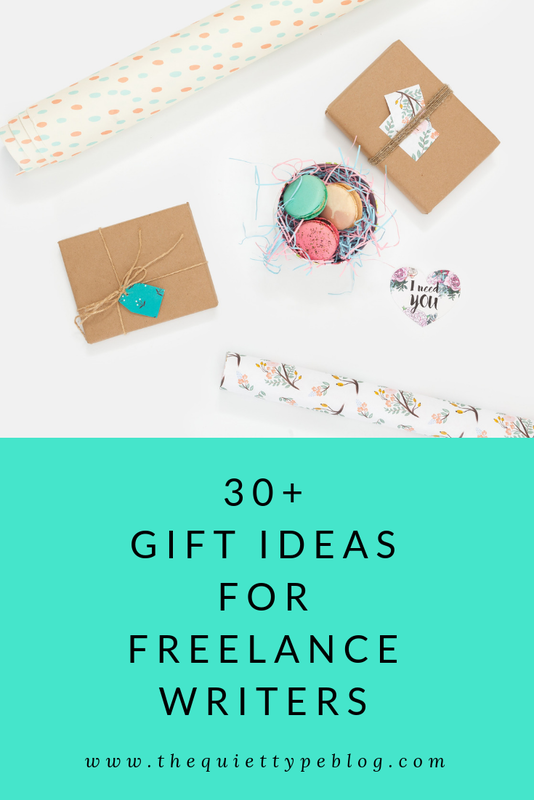 It’s the perfect gift to help your freelancing friend navigate the confusing landscape that comes with freelancing. 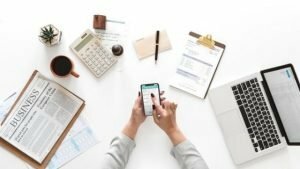 It covers topics like setting up a freelance business, finding clients, paying taxes, etc. It definitely lives up to it’s name! Need a little more book inspo? 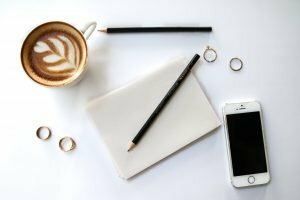 Check out this post for 5 books I recommend to freelance writers and this post for 4 more! A quality coffee maker is a must for any writer working from home! I rely on my trusty Keurig for my daily coffee infusion but there are other options like a cappuccino maker or a cold brew coffee maker! Find out what they’re favorite is and select a coffee maker based on that! Web hosting is a really cool gift for a writer! You can either renew their current hosting plan or purchase a new hosting plan for the next adventure. Either way, web hosting makes a great gift! Check out SiteGround and get web hosting for as little as $3.95/month. I host all of my websites through SiteGround. I even transferred one of them from a different host to SiteGround and the process was so simple. It was amazing! Domain names and web hosting go hand in hand, so they’re the total package when thinking of a gift for a writer. Most web hosting services offer domain names through their site, so be sure to check it out! Want even more ideas? Check out my gift guide for bloggers. 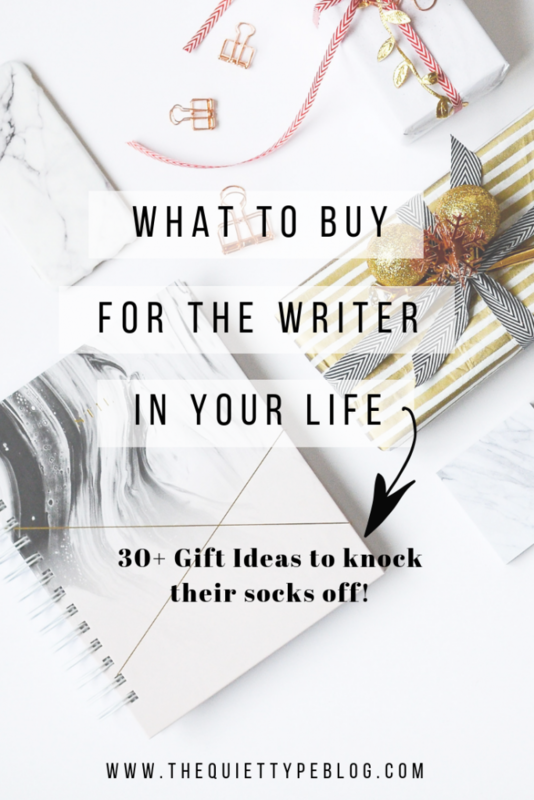 I hope this gift guide gives you some inspiration when picking out a gift for a writer!